We’re excited to announce the release of ImageFramer version 3.2. The updated version has a lot of changes but most of them are under the hood. User-visible changes include some improvements to the workflow to save you time performing common tasks. 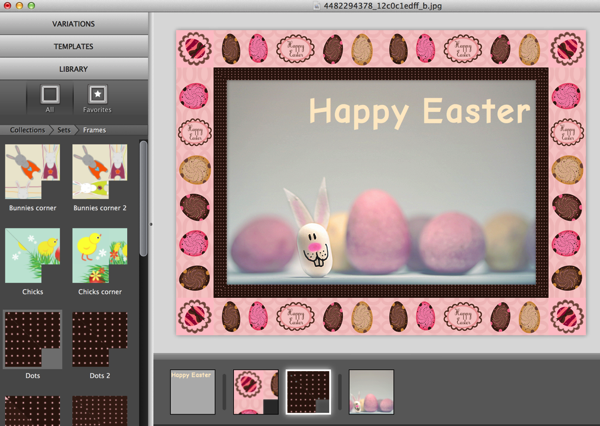 We also released two new sets of vector frames in our Holiday collection, namely Easter and Love. See below for some examples. ImageFramer remembers the last drop shadow enabled state of moulding frames. Newly added moulding frames will have the same state of shadow. This replaces the previous default of shadows being on. When replacing a layer with a new one (Option-double click on a frame), ImageFramer will apply old one’s settings to the new one. This allows to quickly see which frame fits better without manually adjusting frame width and similar settings every time. We have new vector frames in the Holiday and Celebration collection, available to all licensed customers. 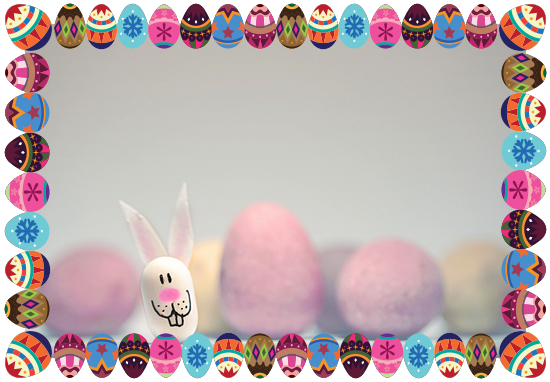 The new sets are Easter and Love. Here’s are several examples made with these new frames. Overall, there are almost 60 new frame designs you can play with. Mac App Store customers should update ImageFramer in the Mac App Store. Direct customers should choose “Check for new version” in their “ImageFramer” menu or download ImageFramer from our website. You can also manually force ImageFramer to check for new frames from its “ImageFramer” menu, but we suggest you keep the preference to keep it check for new frames automatically checked.